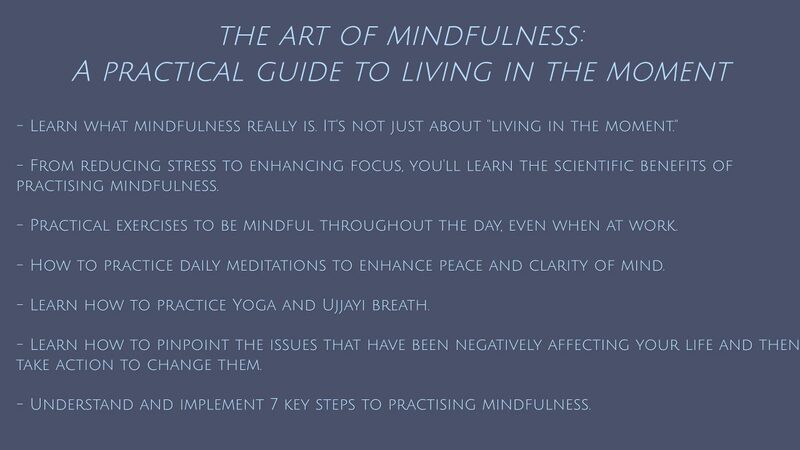 In the Art of Mindfulness, we delve deep into the concept of mindfulness and explain how to use this life changing practice to overcome our overactive mind, let go of multi tasking and distractions and focus solely on the task at hand. By devoting 100% of our time to the present moment, we can reduce suffering, fear and anxiety. With the power of mindfulness and the capacity to look deeply, we can find the insights to transform and heal any situation.